Indeed, Wisconsin is emerging as one of the nation’s top coffee brewers thanks to Berres Brothers. The Berres family’s tradition of providing quality coffee began in 1970. Marvin Berres founded Coffee Host Inc., a coffee, soda and snack vending business serving companies within a 50 to 60 mile radius of Watertown, Wis.
Berres Brothers currently employs 45 full- and part-time staff and distributes coffee throughout the Midwest in various grocery and convenience stores as well as through corporate gift, fundraising mail order and wholesale programs. 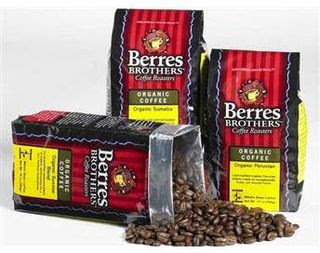 Berres Brothers Coffee Roasters offers over 100 types of specialty coffee, including more than 50 flavored varieties, as well as single origins, blends and Fair Trade certified organics from around the world - all roasted fresh daily.